Cold winter sky after the first big snowfall of the season. AVERISERA in winter wraps in Chelsea. One of these days, I'll go down and start working! A few days of sailing with Boston Sailing Center instructors doing an American Sailing Association Instructor Qualification Clinic. 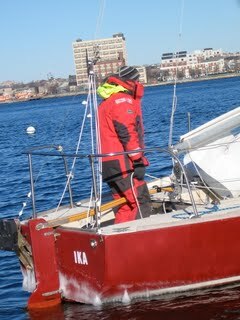 The sailing was beautiful and brief. During the Thanksgiving break, we drove to Apex, NC. On the way, we stopped for the night at a comfy hotel in Chincoteague, VA. A new bridge is going up and this tiny tug was working at the site. Our drive down the Delmarva coastline was stunning. 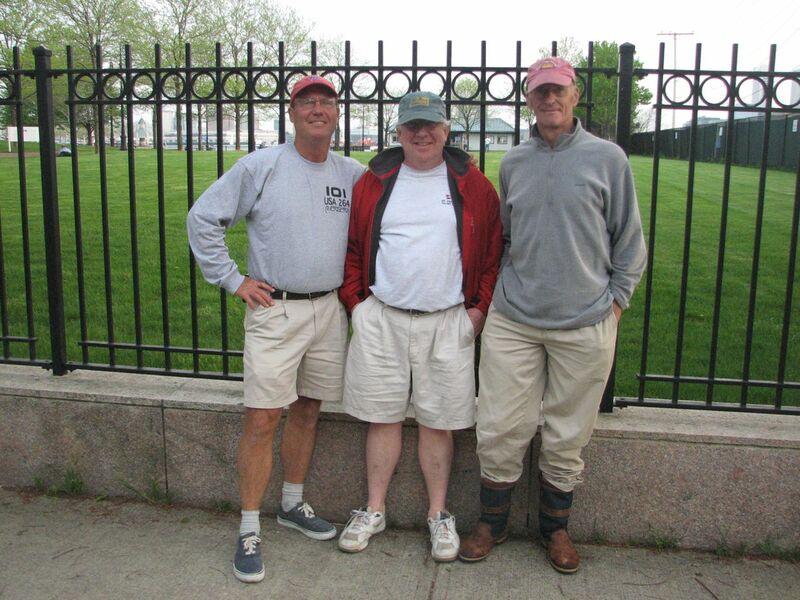 left to right are Norm, Tom, and John. A photo from the summer of 2009. 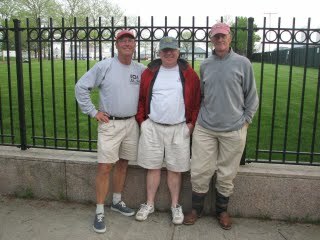 These guys have been sailing together for a couple of decades and on a bunch of different boats. Never better!